Hello everyone! 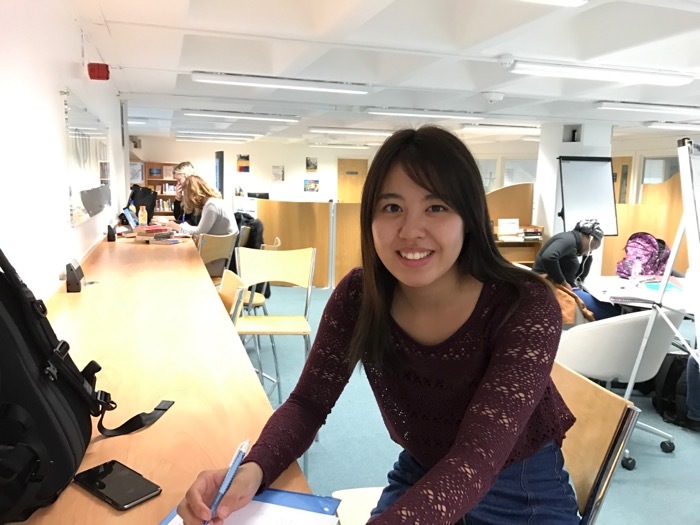 For today’s blog, I interviewed Kotona, studying in the Surrey foundation from this year. She is really social and active, joining basketball club and dodge ball club. Also, I heard many nice and fresh information from her. Such as; there is a WeCaht group chat for Surrey foundation for this year, so she could contact with her course-mates before coming to the UK (she said she had joined the group one or two weeks before the flight, and there’s 102 students). When I was doing foundation, I didn’t have group chat, (or just I wasn’t informed), so it was good to hear from her this time.